KPMG's purpose lies in its people. From the newest recruit to the most senior member of staff, every person contributes to the legacy of KPMG. It’s easy to get lost in a company with 90 offices and 30,000 employees. Our challenge: make every single employee feel valued. How does a company with 30,000 employees in the U.S. help every single person feel connected and proud of the work they do? For KPMG, it started with a call to us. KPMG had already initiated a Higher Purpose internal campaign to strengthen employee pride and engagement within their enormous “Big Four” firm. Yet they hadn’t found a way to foster a long lasting, emotional connection with employees. That was our challenge. IRONICALLY, WE BUILT A WALL TO BRING PEOPLE TOGETHER. Our idea was to take a well-­‐known, historical representation of financial services and turn it on its side. The result: a beautiful abacus wall that makes a big statement. Each bead (which we call a “marker”) represents an individual employee. 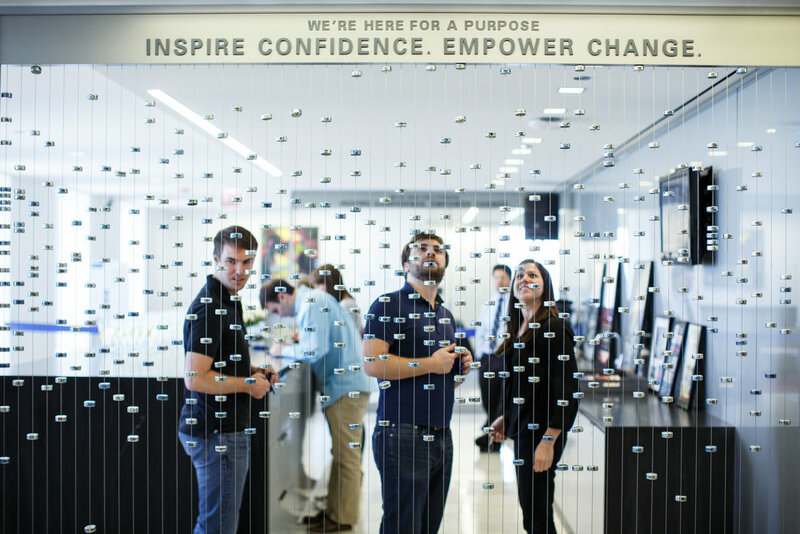 All of the beads together add up to what makes KPMG’s success possible. This leaves no doubt in employees’ minds that they are the most important part of KPMG’s purpose. WE WANTED EMPLOYEES TO LEAVE THEIR MARK. LITERALLY. To further strengthen their connection with the organization, we had the employees “build” the wall themselves. Each person was given a marker and asked to sign their name and the year they joined the To further strengthen their connection with the organization, we had the employees “build” the wall themselves. Each person was given a marker and asked to sign their name and the year they joined the firm. Employees then added their personal marker wherever they wanted on the Legacy Wall. As a new employee starts with KPMG they too are given this opportunity to leave their mark. The markers stay even when an employee leaves the firm, signifying the importance of the impact they made while working for KPMG. A SINGLE IDEA THAT HAD TO WORK 90 DIFFERENT WAYS. We strongly believed this idea was most powerful only if every KPMG employee could experience the Legacy Wall. That presented a challenge because no two are alike. So we created structural components that were highly flexible and simple to replicate. Tensioned metal cables that run floor to ceiling. Metal markers. And enough room for 10 years of growth in each office. 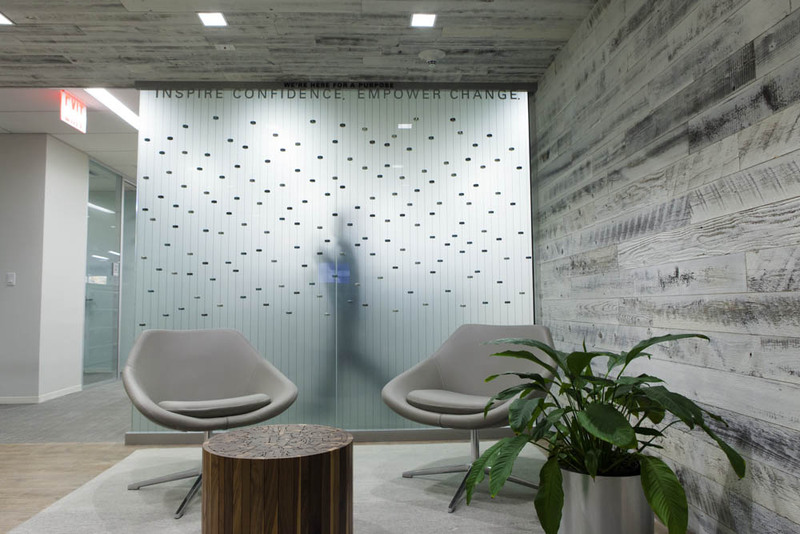 That’s all that was needed to construct a custom Legacy Wall in each of KPMG’s 21 offices that had a large number of employees. BRINGING A BIG IDEA DOWN TO SIZE. Ignoring the remaining smaller offices was out of the question. So we created Legacy Mini Walls. 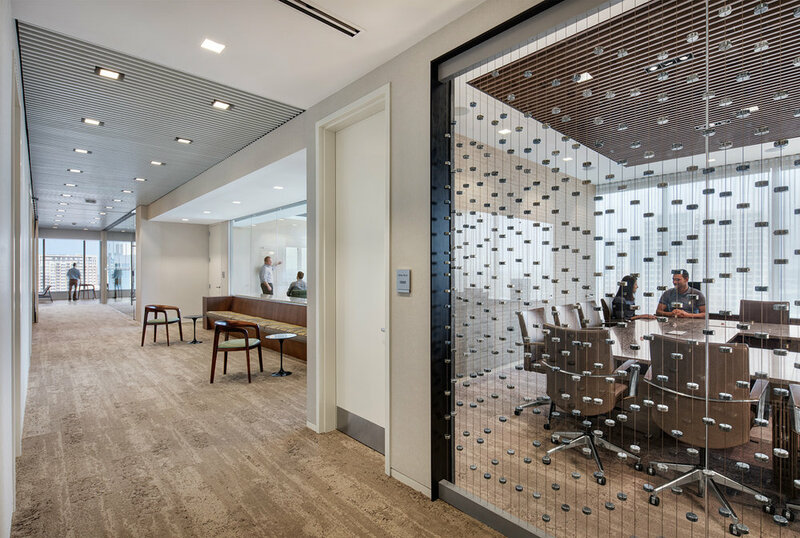 It’s an simple, space-­‐saving solution that accommodates KPMG offices with fewer employees and less wall space. THE PURPOSE IS PAYING OFF. 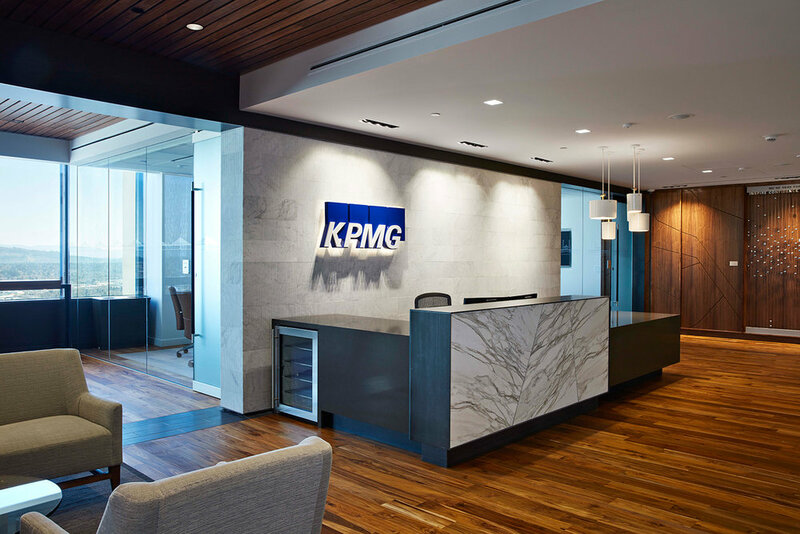 While the Legacy Wall idea was intended to forge an indelible bond between KPMG and its employees, it also drove impressive results. KPMG surged 17 spots ahead the first year of their Higher Purpose campaign on Fortune magazine’s 100 Best Companies to Work For list. KPMG was ranked No. 1 Big Four Best Company to Work For for the first time in its history. Explore our other work in the Corporate arena.